Bradley M. Busse, 74, of Sturgeon Bay, died Friday, Nov. 30. He was born June 1, 1944 in Chicago, Illinois and raised by Earl H. and Thelma K. Addison. 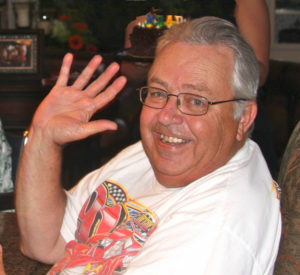 Brad leaves behind his wife of 53 years, Carolyn; two children, Ruann (Gregory) Wood of Knoxville, TN; and Jason (Jessica) Busse of Green Bay; six grandchildren that he lived for: Wesley, Derek, Austin, Emily, Jordan, and Marshall. He was preceded in death by his parents. Join the family for a celebration of Brad’s life at 11 am on Thursday, Dec. 6, 2018 at Forbes Funeral Home in Sturgeon Bay with Pastor Jerry Marsden officiating. Come share stories and memories of Brad with the family on Wednesday, Dec. 5, 2018 from 3-7 pm and on Thursday from 10 am until the time of service. In lieu of flowers, please send monetary donations to Unity Hospice in DePere.